Where is a better place to dine around town than Café Manna in Brookfield? 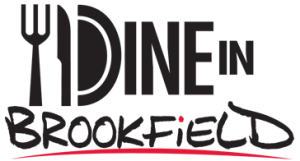 Dine in Brookfield is coming up in November and Café Manna is once again participating in the yummy event. We’re planning a fabulous three-course menu to serve along with all of our other yummy regular menu items. Join us between Monday, November 7 and Saturday, November 12 to enjoy this special menu. Three crispy shells filled with “refried beans”’ seasoned nut meat and lettuce. Topped with cashew sour cream and pico de gallo. Served with a fresh green salad, corn chips and guacamole. A classic Indian dish of cooked spinach pureed in a spiced cream sauce with cubes of sautéed house made paneer. Served over basmati brown rice and grilled flatbread. Sign up to get interesting news events, specials, birthday greetings and other exciting updates delivered to your inbox. Click below to enter your information. You can book your reservation online. Just click the button below to request your date and time. Café Manna is the first restaurant in Wisconsin to reach the 3 star Certification level. We are open for lunch and dinner Tuesday through Saturday, and for brunch on Sunday. Copyright © Café Manna 2019 . All rights reserved.